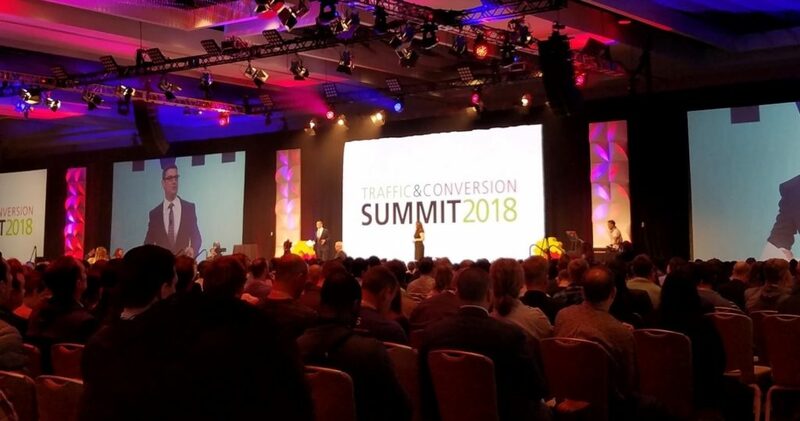 Yesterday marked the first day of the 2018 Traffic & Conversion Summit in San Diego, CA. Every year, this three-day event brings together the industry’s best and brightest to discuss the latest in digital marketing. Two of Viral Solutions’ own staff members are attending the conference (lucky ducks! ), and they’re already raving about everything they’ve seen and heard so far—particularly the opening keynote from Ryan Deiss, co-founder & CEO of DigitalMarketer. In front of a room completely packed with attendees (about 100+ people were sent to satellite locations within the Marriott Marquis San Diego to watch Ryan’s speech via live streaming), Ryan began by pointing out all the pain and fear that bots, Amazon, and Facebook have brought to marketers—not just over time, but within the last year alone. Before you get too worked up, Ryan was quick to assure everyone that all of this does NOT mean bots are after our jobs. It does NOT mean that people of the future will only ever buy from Amazon. And it does NOT mean that Facebook is no longer an effective platform. It’s important to remember that, at the end of the day, we are all human. The sales and marketing process still requires human interaction to create a sense of community and trust, and that is accomplished through conversation (between actual people). However, that’s not to say that bots CAN’T be beneficial—they truly are a helpful tool. You just need to determine the best use for them. 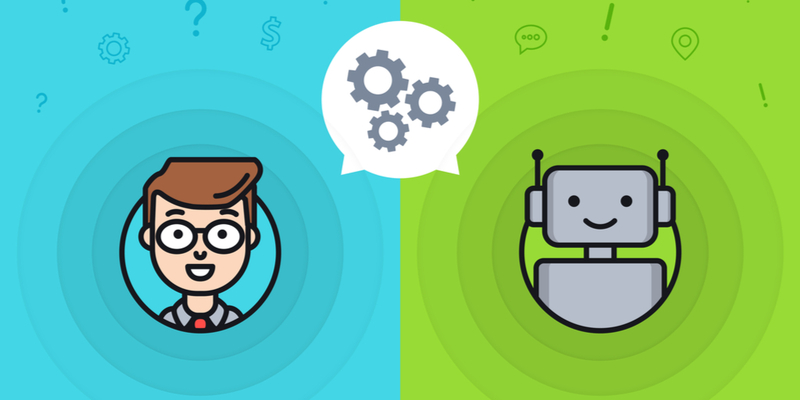 When deploying bots in your marketing, you need to think about where in your sales and marketing process they fit. Specifically, when is it appropriate for a bot to handle a given situation or conversation, and at what point should you have one of your staff members take over? DigitalMarketer believes that bots are best utilized in the TOFU (top of funnel) part of your marketing. Consider implementing them into your lead generation to qualify your leads so that you and your employees can focus on helping those who could truly use your service or product. 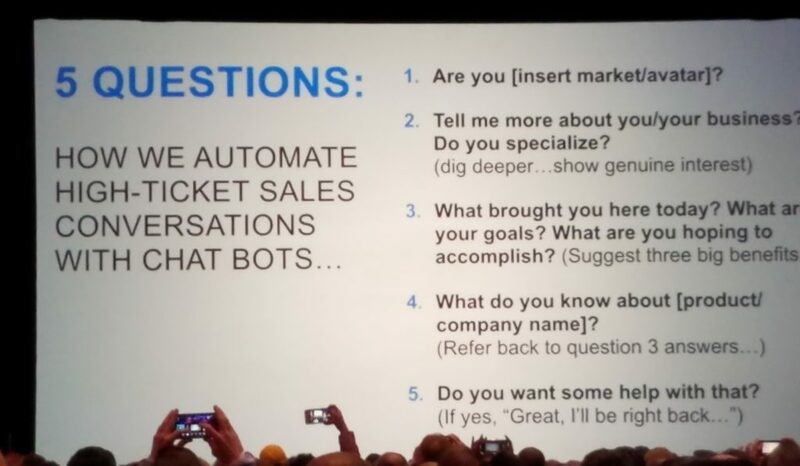 Ultimately, bots can help you make better use of your time while still allowing you to gather data on your prospects and customers so you can develop stronger connections and more meaningful conversations. What does the use of bots in your TOFU process look like? One of the biggest up-and-coming bot capabilities that is slowly but surely taking over and replacing email is Facebook Messenger bots. Tell me more about you/your business? Do you specialize? What do you know about [insert your company/product]? Deploying these five questions in this order is the best approach to qualify a new lead, gather information about what it is they do, find out who they are, and discover what they need help with. If all the boxes are checked and the responses align with both your ideal target and a problem that your product or service can solve, you can then have yourself or a specific staff member take over the conversation from there and work to set an appointment for further discussion, schedule a demo, and/or close the deal. Know who your customer is and familiarize yourself with their journey. Recognize that your customer is the hero and you are their guide. By doing this, you’ll start to see significantly better results.